How To Delete EliteSingles Account? The online dating world is full of possibilities for those who seek a committed relationship. 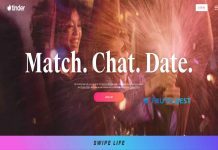 You can find Christian, Asian, senior and even fitness dating communities. EliteSingles is the platform, which is designed to keep the different members satisfied. So, you can find someone special who shares your particular interests and beliefs. 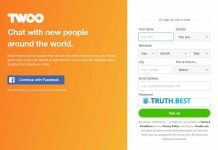 Read the EliteSingles review from Truth.Best to discover how it works for you. 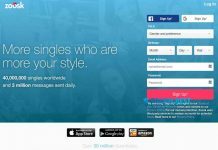 EliteSingles is the most popular US dating platform for those who search for something real among all the fake dating profiles. More than 65 000 members join EliteSingles per week, choosing committed relationship over casual flings. EliteSingles is the perfect place to meet an intellectual partner. Keep reading to find out more about EliteSingles matchmaking process. EliteSingles matchmaking process starts with an insightful personality test for you. You need to answer the set of carefully selected questions to describe your personality in detail. The system will then take your answers into account to compare it with other members questionnaires. 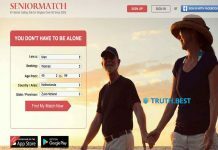 After the similar members are determined, the system will consider your lifestyle, future plans and personal preferences to choose the absolute match for you. You will be able to receive up to 20 partner suggestions every day. EliteSingles also offer Have you met? feature, which increases your chances to come upon real match. Have you met? feature shows profiles, excluded from your list of matches. These are mainly users who didn’t meet at least one of your preferences. You can either start your communication with the match selected by Have you met? or discard the profile to view new suggestions. EliteSingles service makes it clear from the very beginning that their free membership covers minimal features. Unpaid account can’t read messages from paid members. That’s why if you want to establish a connection on EliteSingles, you will better upgrade to Premium. Premium subscription allows you to check who visited your profile, exchange messages unlimited, use Have you met? feature and other premium features. The three months Premium membership will cost you $59.95 a month. If you are a Premium member, you will need to cancel your subscription before deleting your account for good. Go to your account settings and cancel the subscription in the Membership tab. After you cancel, go to Account and click Delete my account. Select the reason and confirm your decision with the password. EliteSingles unites 5 million USA members. The majority of all EliteSingles users are academics, who are sure about their plans and intentions in life. If you look for a serious relationship, EliteSingles is the right place to do that. EliteSingles can boast about their highly educated members and intelligent matchmaking process. With all the smart features, it is definitely a service to try. Join the community of the elite singles who know what they want from life.